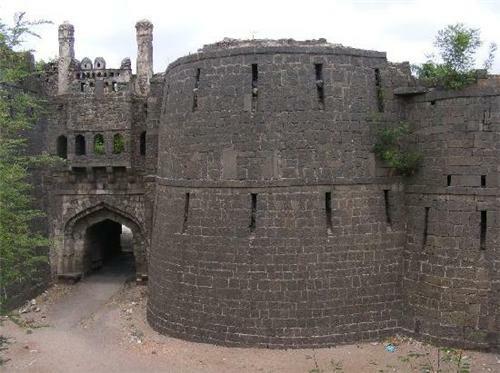 Between 1819 and 1824, for purpose of Civil and Criminal Justice, Solapur was under Poona. In 1825 a first or Senior Assistant Judge was appointed for Solapur. In 1842 Solapur was made a separate District, excluding Pandharpur, Sangola and Malshiras which were then under Satara and including besides other sub-divisions Indi, Sindgi, Bagewadi, and Muddebihal which are now under Bijapur. In that year the Senior Assistant Judge gave place to a District Judge. About 1848-49 Bijapur was added to Solapur. About 1864-65 when Indi, Sindgi, Bijapur, Bagewadi and Muddebihal were taken and included in the present Bijapur District and Pandharpur and Sangola were added to Solapur, the District Judge gave place to a Joint Judge. From March 1866 to March 1884 Solapur was in charge of a Senior Assistant Judge and Joint Sessions Judge with the full powers of a District Judge. In 1875-76 Malshiras was added to Sholapur. From April, 1884 Sholapur has been made a separate charge of a District Judge. Solapur is blessed with a moderate and decent climate. Solapur falls under category of dry (Arid and semiarid) climate. The city experiences three seasons and these are summer, monsoon and winter. The months from March to May come under summer period and the maximum temperature in this period ranges from 30 to 40 degree Celsius. The warmest period in Solapur is in April and May. It was in April 1998, the highest temperature (48 degree) is recorded. Agro-climatically, Solapur district comes under the rain shadow area. Rainfall is scanty and uncertain here. You can experience monsoon period from the second fortnight of June to the end of September that brings rains from South –west monsoon. Even though Solapur gets an average rainfall of 545.4 mms, the scanty and non-uniform rains result in scarcity conditions in the district. The Ujani dam, which has been built to provide water to the drought-prone areas, could solve this situation up to a limit. Winter in Solapur starts in November and ends in February with the temperatures occasionally dropping below 10 degree Celsius. The minimum temperature during the winter season is in January with around 9 degree Celsius. Several people visit Solapur to explore the nature and to pay homage to the innumerable religious sites here in this period. 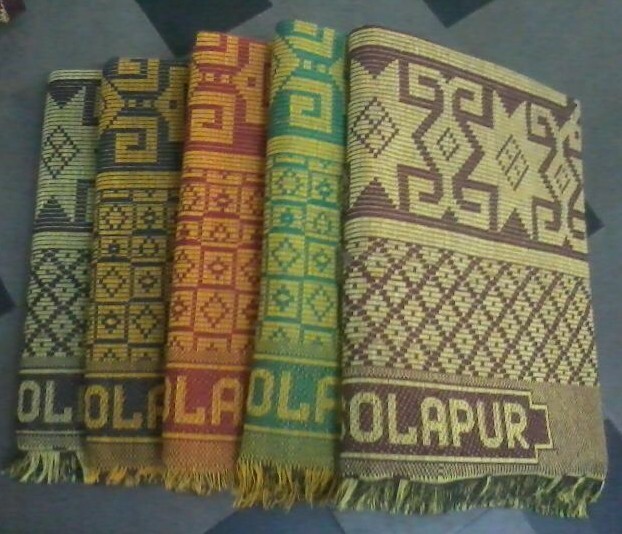 Solapur district, famous for its Chadder, Handloom, Powerloom and Beedi Industries, covering an area of 14844.6 sq.kms., it is one of the important districts in Maharashtra State of India. It is situated at a distance of 410 Kms. from the Maharashtra State Capital of Mumbai by road and train. It falls on the Mumbai-Chennai and Mumbai-Hyderabad railway track. The nearest domestic Air-Port is Pune and the iternational Air-Port is Mumbai. Solapur is at a distance of 245 kms. from Pune, 305 Kms. from Hyderabad (Andhra Pradesh). The national highways viz. NH-9, NH-13 and NH-211 pass through the city making Solapur on the frontline of the commercial map of India. 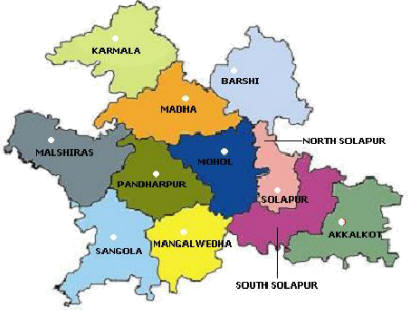 The district is having 11 Talukas and is surrounded by Ahmednagar and Osmanabad districts in the north, Osmanabad and Gulbarga (Karnataka State) in the East, Sangli and Bijapur (Karnataka State) in the South and Pune, Satara districts in the West. Shrikshetra Pandharpur, considered as 'Southern Kashi' of India and Kuldaivat of Maharashtra State is the honour of this district. 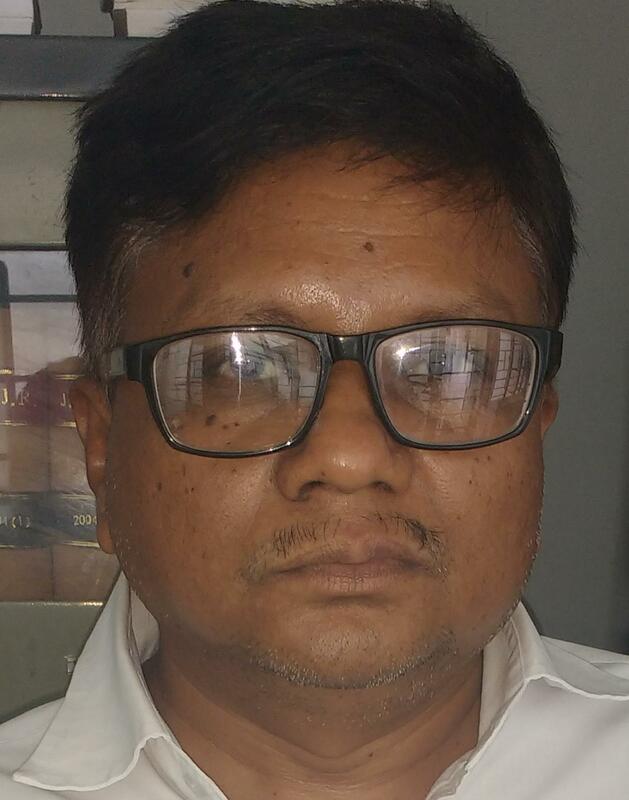 Shri.Siddharameshwar is Gram-Daivat of Solapur. 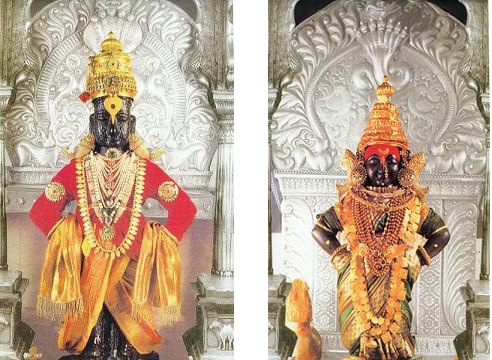 Shri Siddharameshwar was a historical figure of the 12th century whose "Karmayoga" on his own native land-Solapur, turned him into a God-figure over the course of time. Siddharama was a great conributor to Lingayata religion and he is considered as one of the six prophets of Lingayat religion. He had gained the "Siddhi". He entombed himself alive (Shivyogsamadhi) at Solapur. Akkalkot : Shrishetre Akkalkot is at a distance of about 40 kms. From Solapur. 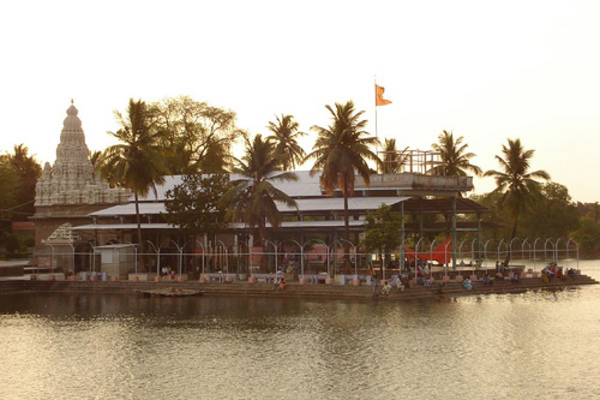 It is the holi place of Shri.Swami Samarth one of the 'Avatar's' of Lord Shri.Dattaguru. SOLAPUR UNIVERSITY, SOLAPUR has been established since August 2004. 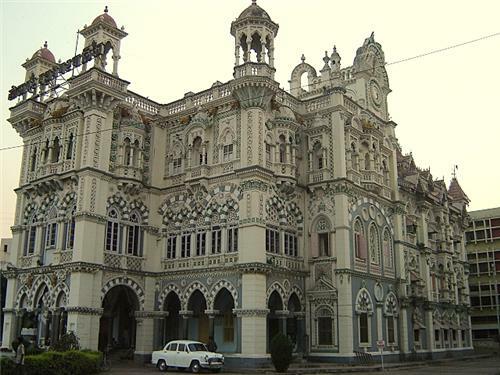 The jurisdiction of the university at present is Solapur district. 65 Colleges in the district are attached to the Solapur University.